Utilizing mobile messaging for a marketing campaign is a cost effective solution for any business. Surveys have proven that SMS produces engagement rates six to eight times higher than retailers normally achieve via email marketing when used for redemption, data collection and brand awareness. Over 90% of text messages are read by recipients. 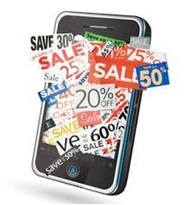 Retailers embracing promotional SMS programs with fixed time frames and strong calls to action typically see a 23.3 percent conversion rate for their ongoing mobile CRM initiatives. We are currently in the process of implementing another practical and cost-effective project to generate an on-going income stream to schools and other non-profit organisations through the Hi5 fundraising initiative. Any NPO has a unique supporter circle of some kind (parents, members, alumni) that has the ability to receive messages on their cell phones. These supporters are prospective clients to businesses. Businesses are offered the opportunity to financially support NPO’s by launching an affordable and effective sms promotional campaign and pay a fee for each text message sent to a NPO’s supporter database. Participating learners approach their parents, neighbors and family to support their school by giving consent to receive a maximum of 2 promotional messages per day (not on weekends) by sending the school’s code together with the learner’s name via sms to a shared 5 digit number (shortcode) @ R1.00. The simplicity of the fundraiser is that (apart from the initial “Yes for an sms” entry) no contribution is expected from supporters what so ever apart from actually receiving the messages – limited to 2 per day. Because these individuals have given consent to receive marketing messages via sms, a message from a business supporter are expected and welcomed! Every time a supporter receives an SMS from an advertiser, the beneficiary (school, church, etc.) will receive a percentage of the cost of the message, which ad fee is paid for by the business (eg. restaurant, hair dresser, butcher, holiday resort ). The simplicity of the fundraiser is that (apart from the initial “Yes for an sms” entry) no contribution is expected from supporters what so ever apart from actually receiving the messages – limited to 2 per day. Every time a supporter receives an SMS from an advertiser, the beneficiary (school, church, etc.) will receive a percentage of the cost of the message, which ad fee is paid for by the business (eg. restaurant, hair dresser, butcher, holiday resort ). We do all the admin (database uploading and management, compiling and sending of text messages), we assist in recruiting business advertisers and your database is kept totally confidential. Duration of the project: On-going or limited - defined per beneficiary. The establishment of an additional income stream for schools and other non-profit organisations. The expansion of a NPO’s supporter database. A value-added offering to SME donors/sponsors by offering an affordable marketing and advertising medium to communicate promotions and competitions to a broader audience whilst a percentage of marketing costs are ploughed back into fundraising. To assist small businesses in increasing their client base. 32071 is the Hi5 R1.00 premium rated short code. Learner participation is optional – parents can give consent for their child to participate. Participating learners approach their parents, neighbors and family to support their school by giving consent to receive a maximum of 2 promotional messages per day (not on weekends). A learner must try to recruit at least 5 supporters each. Learners are incentivized through prizes and for example all learners who have recruited 5 or more supporters can wear civvies on Friday and are entered into a prize draw – incentives are entirely up to the school. Supporters sms's the word HI5 followed by a reference number to 32071. 800 learners “harvest” an average of 5 “yes’s” each, i.e. 4000 individuals who are willing to receive 2 advertisements/promotions via sms per working day. 20 business advertisers per month over a period of 10 months per annum. The success of this campaign is dependent on the co-operation of all the stakeholders as well as the incentives provided to learners and teachers. Beneficiary decides on and provides incentives (optional but strongly recommended for schools). Beneficiary motivates e.g. learners/members and administers prizes and awards ceremony (optional). VenQuest will administer the supporter database, send the advertisements and manage financials. VenQuest will provide the school with monthly updates on the progress of the campaign. VenQuest will create awareness to the surrounding and broader business community and assist in recruiting business advertisers. We guarantee the confidentiality of your supporter database. Cost to beneficiary: No cost - We carry the cost of the premium rated number, keywords and return messages. A substantial funding supplement for the beneficiary with a relatively small effort and no financial input cost. Minimal admin for a beneficiary as no cash is handled by the organisation. Parents/Alumnus can now support each other by knowing who does what. Parents in business can now advertise to co-parents. Even individuals (non-business) can advertise (e.g. house/car/furniture for sale, holiday accommodation to let, baby sitter wanted, pets for sale etc.) – an effective “classified ads” vehicle. Electronic database for future fundraisers. Supporters benefit from specials and promotions being communicated to them. Business advertisers effectively reaches potential new customers that weren’t on their own database. More information on our MOBILE MESSAGING (SMS) FUNDRAISERS upon request - please complete the form below.